Once the wedding date is set, the pressure is on! Whether you’re a wedding planner new to the area or you’re a LBI bride, we’ll help you to find the very best options for LBI wedding venues! Before choosing the LBI wedding venues for your wedding ceremony and reception, you and your fiancé need to share a vision for the event. The overall vision should never be up to the moms or the friends, or even the wedding planner (although their ideas may be worth considering!) 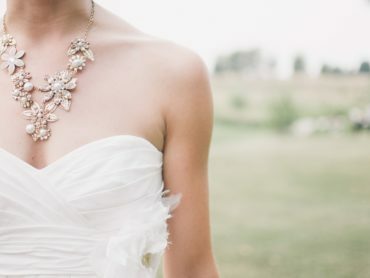 because the day must reflect the style and wishes of you and your future hubby. Generally, brides are more opinionated about the wedding details but you should take time working through this beginning stage together, to ensure you both enjoy this celebration of your marriage. Once you have a mutual vision for your big day, you can bring in the bridesmaids and groomsmen to help with the prep work. Get yourselves some drinks and a notebook, and start by talking over a few things as a couple. Once you have solid answers to these questions, you will be ready to choose a venue that can accommodate your vision and the size of your guest list. How large do you expect your wedding to be? How many bridesmaids, groomsmen and guests? Will you have a theme to build your wedding day around? Perhaps it will be a shared love for something like an era, sports, or even Long Beach Island culture and history. Choose a color scheme that compliments your decorating vision. 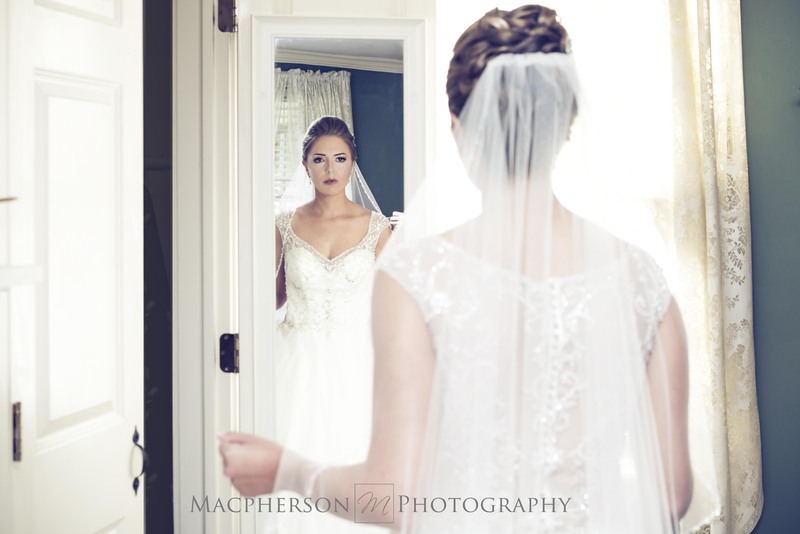 Do you want a morning, afternoon or evening wedding? Where will out of town guests be housed? Can you reserve a number of hotel rooms ahead of time? 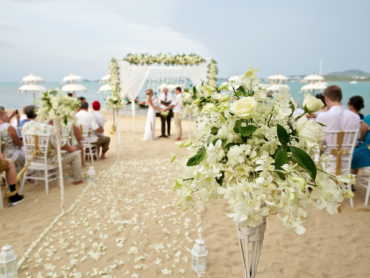 Do you dream of an elegant formal wedding or a casual barefoot beach ceremony? Inside sit down dinner or outside hors d’oeuvres buffet, or both? Will there be dancing at the reception to a live band or a DJ, or do you have a different idea for what to do after the ceremony? So, you’ve probably made up your mind to get married in this charming beach town! This is an excellent choice for a few reasons. 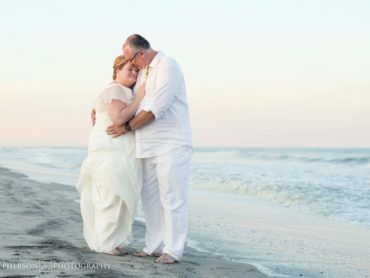 The scenic view of the ocean or bayside in Long Beach Island sets a romantic mood, and the open sky over water makes a breathtaking backdrop for photos! Also, the layout of the island is convenient for getting around and there is a great assortment of hotels and restaurants and things to do with your wedding party. LBI is no stranger to hosting weddings, especially in May, June, July, and August- peak wedding months. It’s a breeze, but make sure you book everything far enough in advance to claim your spot. Spray Beach Hotel in Beach Haven is among the best places for an authentic beach wedding experience. This newly remodeled hotel sits directly on the beach, with indoor and outdoor dining environments and great personal service. Spray Beach Hotel is an ideal venue for your summertime beach wedding. You, your wedding party and all of your guests will feel comfortable and relaxed here. The environment is casual and welcoming but the space is easily spruced up for a more formal ceremony and reception. At Spray Beach Hotel, the adjoined restaurant (Sand Dollar Restaurant) has a wonderful beach pavilion with a beach hut bar that is perfect for cocktails, mingling and enjoying live music. There is a full service restaurant your overnight guests will appreciate, not to mention lots of little shops and cafes within walking distance or a quick ride on the free LBI shuttle. Making a weekend of it is the best option, so the adults have a day or two to enjoy the beach. Children can take time to swim in the pool and play in the sand, in between rehearsals and other traditions. A beach wedding is like giving your guests the gift of a nice vacation in return for being part of your celebration. 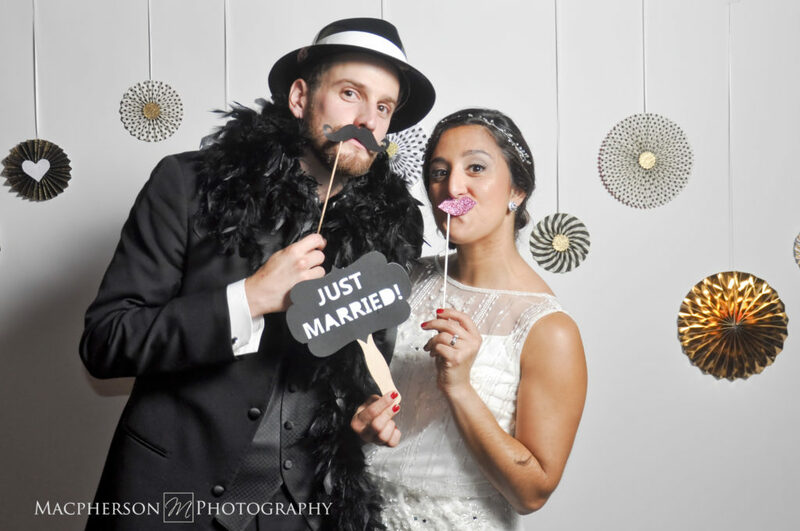 Spray Beach Hotel wedding staff will work with you to plan and execute your dreamy LBI wedding. If your plans to exchange vows on the beach are interrupted by unexpected weather, it would be feasible to move the ceremony under the pavilion or inside, if you’ve booked space at the Spray Beach Hotel. 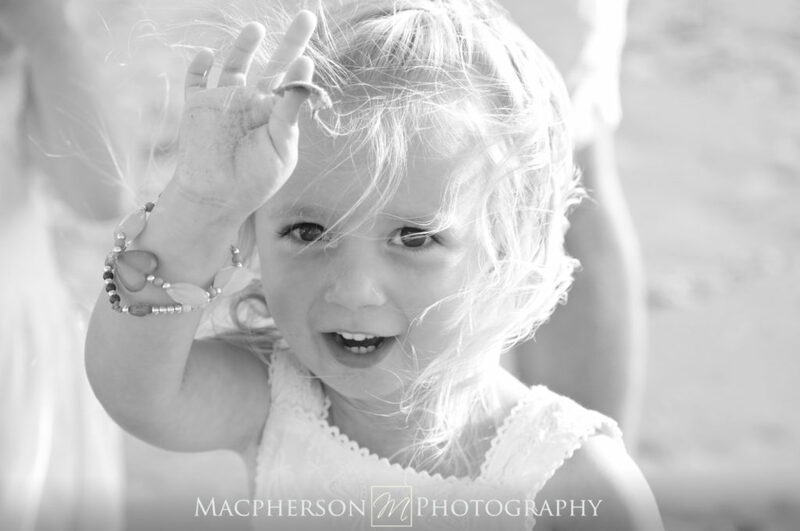 Sea Shell Beach and Resort Club is a full service LBI wedding venue along the ocean. 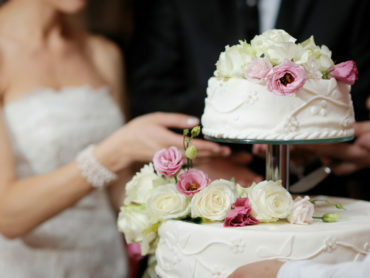 There is even a wedding planner on staff to help you choose from several wedding packages. Together, you will coordinate a night before party for your guests at the tiki bar, set up some pre-wedding activities, and designate a lovely location on the beach to exchange your vows. Everyone will enjoy cocktails and hors d’oeuvres served poolside before moving inside for an elegantly served dinner. The Historic Stockton Seaview is another excellent choice of LBI wedding venue for your elegant and beach town wedding. Lovely lawns and formal gardens by the bay are ideal for exchanging vows outdoors. This well-known hotel offers several beautifully designed rooms to accommodate your reception gathering, including the spacious Bayview Terrace. Your guests will find the hotel rooms comfortable and enjoy the amenities, including a fitness center, spa, pool and golf course. Brant Beach Yacht Club is a premier Long Beach Island wedding venue that offers a waterfront clubhouse, covered deck, and an open rooftop deck where you can enjoy a view of the sunset. This venue will accommodate 200 guests with plenty of room both indoors and out. Their food preparation facilities are impressive, and will be appreciated by your catering team. Brant Beach Yacht Club staff can recommend florists, caterers, limousine services, musicians, photographers and any other LBI wedding services you may require to make your big day effortless on your part. Long Beach Island has every bridal service you would need, including gorgeous LBI wedding venues. Some venues only provide the use of the venue where others have a wedding planner on staff or on call. No two weddings are the same. Choose the place that offers what you like, fits with your theme, and accommodates the size of your wedding party.